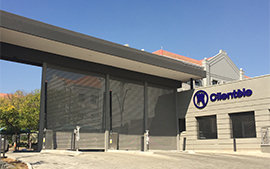 Garage Doors, Constructed with a full aluminium framed, panelled glass sectional overhead door for residential and commercial applications up to a maximum opening width of 7000mm wide and 7000mm high. 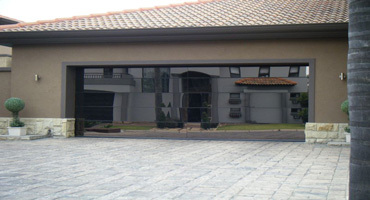 Flush glazed glass sectional overhead garage door, mainly for contemporary residential applications constructed with a facing of 6.38mm laminated safety glass structurally bonded onto an internal aluminium frame. 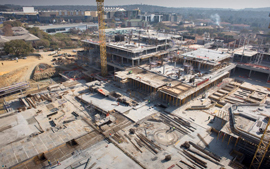 Made to suit a maximum opening size of 5000wx2500h. 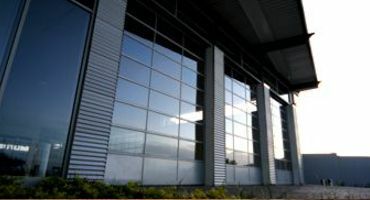 Constructed with 6.38mm laminated S10 glass fully framed with an aluminium frame without any centre stiles to give a bolder horizontal appearance. 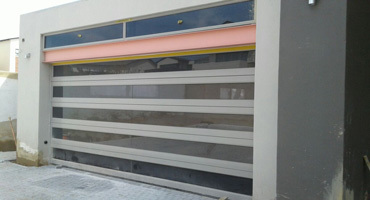 These garage doors are constructed up to maximum size of 5000wx2500h. 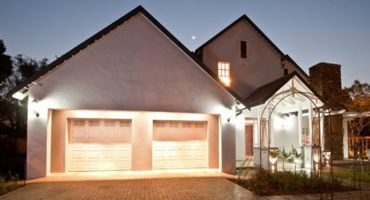 Established in 1984, Build Inn Pretoria has been supplying and installing garage doors for Pretoria and Johannesburg’s homes and complexes for over 32 years. 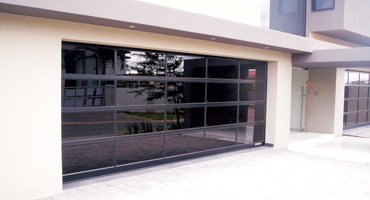 Our range of residential garage doors includes a very large variety of doors in wood, steel, aluminium and glass in many designs and finishes to suit the growing demand for bespoke designs and reliable garage door solutions. 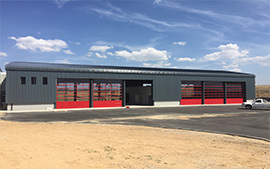 Build Inn entered into the industrial roller shutter door market in 1991 and has since grown to be a major supplier of industrial and commercial doors such as roller shutters and sectional overhead doors in steel, glass and aluminium for factories, warehouses, power stations, shopping malls, hotels, fire stations, international airports, shopfronts and homes. 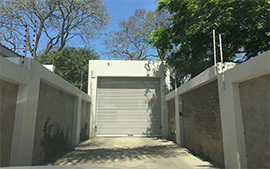 Build Inn is proud to be associated with Xpanda Security since 1995 and offers a very comprehensive range of approved security barriers from Xpanda. 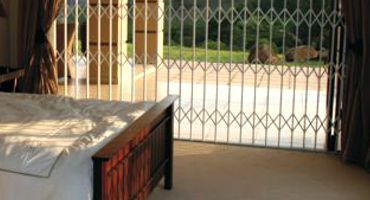 This extensive high quality range includes retractable security barriers, security swing gates and burglar guards to suit all tastes and budgets for both the D-I-Y and full-service options. 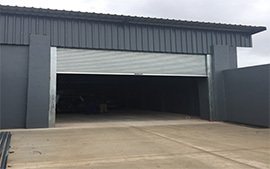 Browse some images of recent work completed by us, using various products from our extensive range of Garage Doors, Industrial Doors etc. Full page of About Us.